The Shanghai Composite Index rose 2.6 percent to 3,073.03, its highest level since June, and Tokyo’s Nikkei 225 added 1.2 percent to 21,841.76. 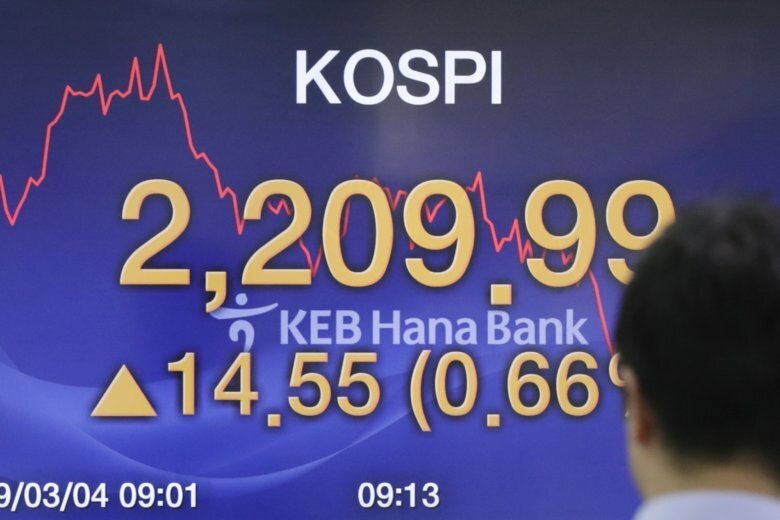 Hong Kong’s Hang Seng advanced 1.0 percent to 29,096.02 and Seoul’s Kospi was 0.3 percent higher at 2,203.24. Sydney’s S&P-ASX gained 0.5 percent to 6,221.70. New Zealand and Singapore advanced while Taiwan retreated. Forecasters expect the government to announce an annual growth target of at least 6 percent. Few major changes are expected, but economists expect more government spending to shore up cooling growth. WALL STREET: Health care and technology companies helped lift U.S. stocks, breaking a three-day losing streak for the Standard & Poor’s 500 index and giving the benchmark index its fifth straight weekly gain. The S&P 500 climbed 0.7 percent to 2,803.69. The Dow Jones Industrial Average rose 0.4 percent to 26,026.32. The Nasdaq composite gained 0.8 percent to 7,595.35. ENERGY: Benchmark U.S. crude gained 22 cents to $56.02 per barrel in electronics trading on the New York Mercantile Exchange. The contract fell $1.40 on Friday to $55.80. Brent crude, used to price international oils, added 30 cents to $65.37 per barrel in London. It lost $1.24 the previous session to $65.07. CURRENCY: The dollar rose to 111.99 yen from Friday’s 111.92 yen. The euro retreated to $1.1365 from $1.1411.